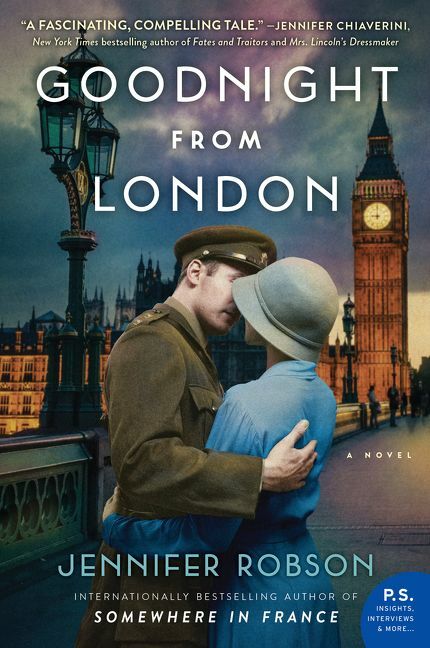 From USA Today bestselling author Jennifer Robson-author of Moonlight Over Paris and Somewhere in France-comes a lush historical novel that tells the fascinating story of Ruby Sutton, an ambitious American journalist who moves to London in 1940 to report on the Second World War, and to start a new life an ocean away from her past. In the summer of 1940, ambitious young American journalist Ruby Sutton gets her big break: the chance to report on the European war as a staff writer for Picture Weekly newsmagazine in London. She jumps at the chance, for it’s an opportunity not only to prove herself, but also to start fresh in a city and country that know nothing of her humble origins. But life in besieged Britain tests Ruby in ways she never imagined. As the nightly horror of the Blitz stretches unbroken into weeks and months, Ruby must set aside her determination to remain an objective observer. When she loses everything but her life, and must depend upon the kindness of strangers, she learns for the first time the depth and measure of true friendship-and what it is to love a man who is burdened by secrets that aren’t his to share.